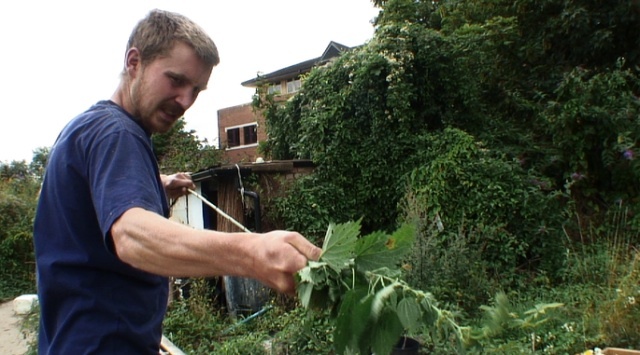 For his latest feature documentary Grasp the Nettle, director Dean Puckett gave up his normal life to live with activists in the Kew Bridge echo village and democracy village on parliament square, documenting not only the lives of the residents but also the wider societal issues their various movements attempted to address. Dean joins us to discuss the practical challenges of shooting the film and getting beneath the surface veneer by committing to a ‘method documentary’ filmmaking approach. Grasp the Nettle follows the exploits of a ragtag band of land rights activists in London as they struggle against corporations, government, police – and themselves – in their efforts to create alternative communities outside the framework of consumer society. Often the intention is not the reality & I think that’s what I became fascinated with[…] I just felt there was this really interesting friction between idealism & reality.